In early December I gave a video-workshop together with video-artist Jose Biscaya organized by the oneminutes foundation in conjunction with UNICEF. I would like to thank the team of Ruhrwerkstatt for the excellent and courageous production and teamwork. You are great! 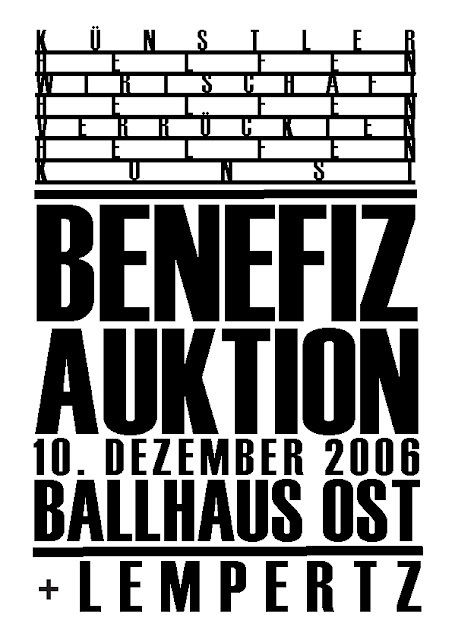 On the occasion of a benefit-auction for Ballhaus-Ost, Safia Dickersbach Art Management and Public Relations donated my work "Motor Hulk" of 2003. The work "Motor Hulk" was done when Schwarzenegger became governor of California and a remake of a "Hulk"-picture was released. 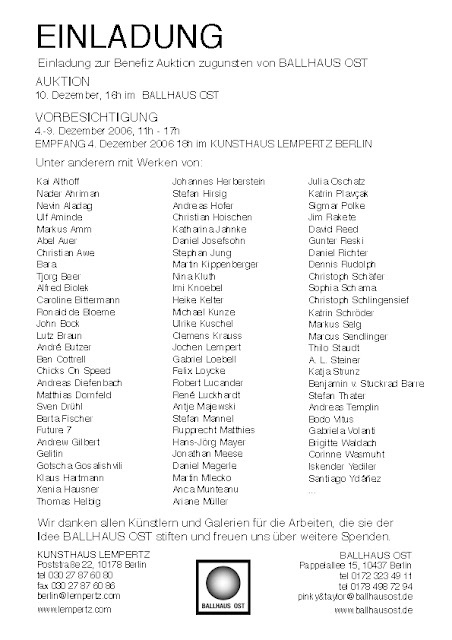 Artists included: Jonathan Meese, John Bock, Kai Althoff, Martin Kippenberger and many others.